Mothers are awesome. They care for their children and want nothing in return. They are one of the most selfless creatures on this planet and they deserve nothing but the best. They must be loved and cared for on each and every day of the year but devoting an entire day to mothers around the world is only going to make things more special. So mother’s day is celebrated to express our gratitude towards all the mothers, to the sacrifices they have made. What is the best way one can outpour his/her love for his/her mother or mothers around the world? Gifts, gift for mother’s day is the answer. We have compiled this handbook of Unique Mother's Day Gift Ideas 2019 which you can use to delight your mother on mother’s day. As soon as the clock turns to 12’o clock. Surprise your mother with a delicious cake. Order mother’s day cake delivery and op for the midnight cake delivery option. Your mother will be flabbergasted by this awesome gesture. Choose the correct cake type and flavor to make your gifting impressive. Take the photo cake delivery in India and surprise her with a cake with a personal picture on it. This mother’s day, make sure that your mother starts off her day with lovely flowers by her side. Present her with beautiful blossoms and a heartwarming mother’s day note to win her heart. Baskets, bouquets or vases, get any of the floral arrangements delivered with same day mother’s day flowers delivery in India. Go with roses or pick her favorite flowers to ace your mother’s day gifting. Remember how many time she has given you a sweet treat. Turn the tables and indulge her in the most tempting chocolates. Shop for mother’s day chocolate hampers and satiate all her cravings on May 12 of this year. Her favorite chocolate brand or chocolates like Ferrero Rocher, Cadbury, Lindt, Toblerone will certainly help. Mothers are one of the most selfless creatures and thus they are one of the busiest creatures as well. They are always working hard for everyone around them. This mother’s day, help her escape her normal routine. Tickets to a spa, movie tickets, or an entire vacation in some hill station (if your budget allows) are probably the way to go. 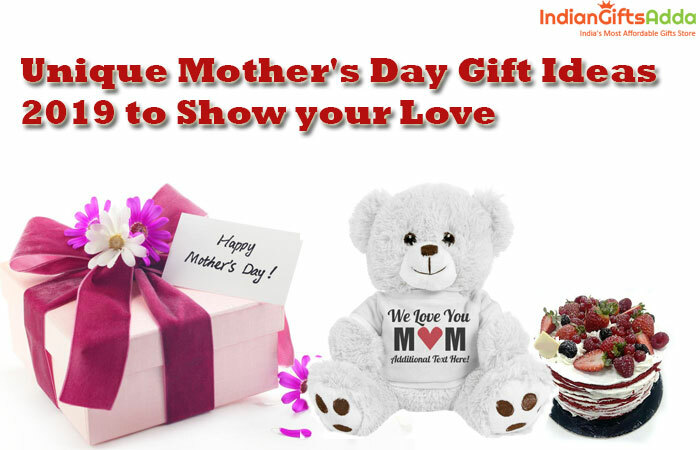 Then you can send mother’s day gifts online on mother’s day and surprise her some more. Your mother is truly a super mom and it is your responsibility to make her feel proud. Present her with any of these gift ideas and it will certainly make her mother’s day celebration a great one. Add mother’s day greeting cards along with your gifts for a more comprehensive gifting. Your warm words and palatable gifts are the perfect combination for making this mother’s day special. Why Sweets & Dry Fruits Considered as Best Rakhi Gifts?